The Pinnacle team today introduces Pinnacle Studio™ 19 Ultimate, Pinnacle Studio™ 19 Plus and Pinnacle Studio™ 19, now offering new video editing features for more professional-looking results than ever. Choose the version that's right for your projects and take advantage of Multi-Camera editing with Audio Syncing, boosted speed, and support for 6th Generation Intel Core i7 processors. For maximum video making power, Pinnacle Studio 19 Ultimate also delivers additional multi-cam editing camera streams, new Audio Ducking, NewBlue video effects, support for VFR, and the ability to work with the latest formats, including XAVC decoding, DVCPRO HD decoding and MXF import. 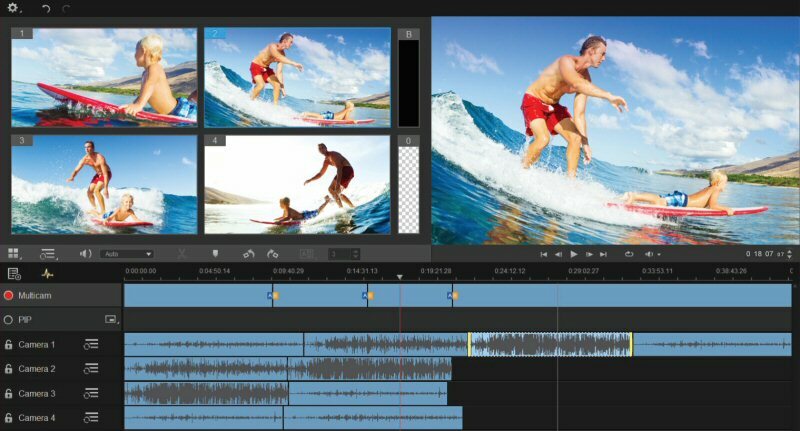 "With the new Pinnacle Studio 19 family, we're continuing to stretch the possibilities of consumer video editing. Already known as the industry's most powerful and precise video editor, Pinnacle Studio 19 Ultimate helps you get even closer to pro results. With support for up to 6 cameras, it's easy to make your movies look their best from any angle. New Audio Ducking makes controlling sound a breeze with the perfect blend of voice and ambient audio. And this all comes together with boosted performance and support for the latest hardware and formats to give you the ultimate environment for creating impressive, high-quality video projects," said Michel Yavercovski, Director of Product Management for Pinnacle. Make your movies look their best from every angle with Pinnacle Studio 19 Ultimate. Use the new Multi-Camera Editor to edit footage from up to 6 cameras and two additional soundtracks, and align clips automatically with Audio Syncing. Easily lower background sound to keep dialog and narration clear with new Audio Ducking. Take on any editing project with confidence thanks to 64-bit speed, support for 6th Generation Intel Core i7 processors, unlimited-track frame-accurate editing in 4K, HD and 3D, support for VFR, and the ability to work with a broad variety of formats including new XAVC decoding, DVCPRO HD decoding, and MXF import. With 2,000+ effects, transitions and titles, and NewBlue bonus effects, including new Video Essentials IV, your movies will look stunning wherever you share them-online, on devices or on disc. Capture and over 1,800 effects, titles and templates, Pinnacle Studio 19 Plus gives you what you need for polished results. Easily share your HD or 3D movies on Facebook, YouTube and Vimeo, on the latest devices, and enjoy an easy authoring experience with Pinnacle MyDVD®. Make more interesting and exciting movies in Pinnacle Studio 19 with the new Multi-Camera Editor that enables you to edit footage from 2 cameras, and align clips automatically with Audio Syncing. See results faster with proven 64-bit power, new support for 6th Generation Intel Core i7 processors, and enhanced HD processing and playback performance. 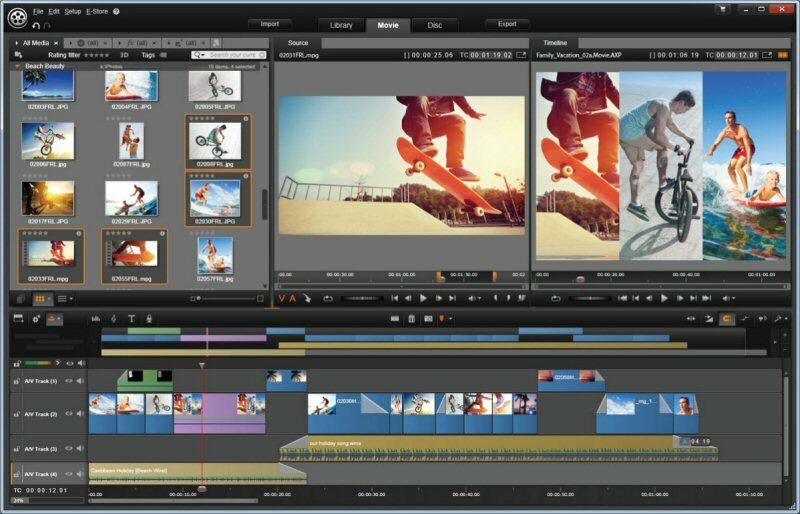 Try SmartMovie to get started fast or edit on the 6-track timeline. With 1,500+ 2D/3D effects and the ScoreFitter music library, you have everything you need to make your movie unique. Share directly to Facebook, YouTube and Vimeo, on the latest devices, or enjoy an easy authoring experience with Pinnacle MyDVD. Pinnacle Studio 19 Ultimate, Pinnacle Studio 19 Plus, and Pinnacle Studio 19 are available now in 13 languages. 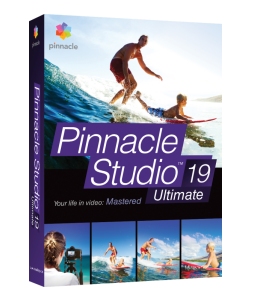 Suggested retail pricing of Pinnacle Studio 19 Ultimate is $129.95 (USD/CAN/AUD)/ EUR 129.95/ £99.95, Pinnacle Studio 19 Plus is $99.95 (USD/CAN/AUD)/ EUR 99.95/ £79.95 and Pinnacle Studio 19 is $59.95 (USD/CAN/AUD)/ EUR 59.95/ £49.95. Upgrade pricing is available. For more information, please visit www.pinnaclesys.com. Customers also receive a 30-day, all access pass to Studio Backlot.tv, featuring new Pinnacle Studio 19 training content (English only). Pinnacle Studio is also available for iPad and iPhone. Connect with Pinnacle Studio on Facebook at www.facebook.com/pinnaclesys. Dedicated to creative video-editing experiences and exceptional results, Pinnacle products give people the power to tell their unique stories through movies. Part of the Corel family, Pinnacle's portfolio includes the award-winning Pinnacle Studio™, Pinnacle Studio™ for iPad, and Dazzle® video capture devices. Corel is one of the world's top software companies providing some of the industry's best-known brands including Roxio®, Pinnacle™ and WinZip®. For more information about Pinnacle and its consumer video editing software and hardware, please visit www.pinnaclesys.com. © 2015 Corel Corporation. All rights reserved. Corel, Pinnacle, the Pinnacle Pinwheel logo, Pinnacle Studio, Dazzle, MyDVD, and Roxio are trademarks or registered trademarks of Corel Corporation and/or its subsidiaries. WinZip is a registered trademark of VAPC (Lux) S.a.r.L. All other names and any registered and unregistered trademarks mentioned are used for identification purposes only and remain the exclusive property of their respective owners. Patents: www.corel.com/patent. With new Multi-Cam editing, Audio-ducking and support for latest generation tech, Pinnacle Studio 19 Ultimate is the industry's most powerful and precise consumer video editor. Pinnacle Studio 19 brings your projects even closer to professional movie-making results. The new Multi-Camera Editor in Pinnacle Studio 19 Ultimate makes it simple to edit footage from up to six cameras and two additional soundtracks.